Like I said in a previous post, it was a game against a unintimidated Div. III team but it was a good chance to see the new offense for 2013-2014 and the main thing I noticed was how much fun this team is to watch. Last year was a good defensive team with occasional big offensive games, this year will be the opposite. Dowell scored 35 (6 of 11 outside) and is probably one of the most talented players to play for UTA in the last 20 years, if not all-time. Very Marquez Haynes-like. Lonnie McLanahan got to the hoop like Catlett used to and the team moved the ball around pretty well. 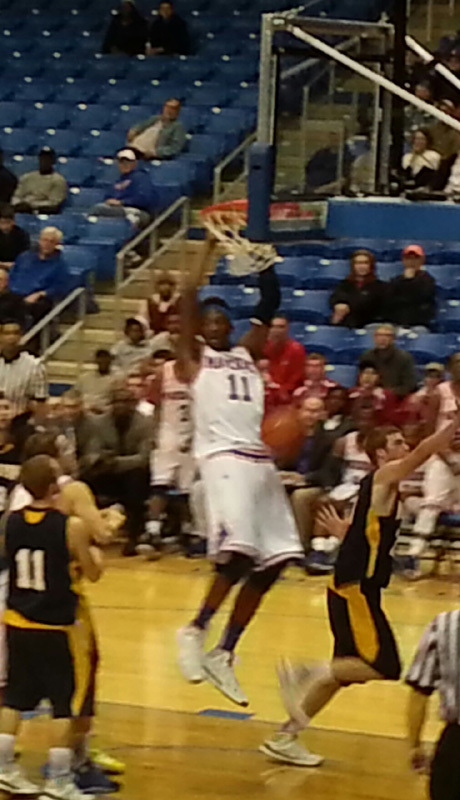 Dillard can score the ball inside and got some good rebounds. Getting the ball inside by your guards usually opens up shots all over the court, and that’s something kinda we missed last year. Edwards is a great player around the paint, but has developed a pretty good shot from outside too (3 of 7). Bilbao and Williams are fowards with a ton of talent learning the Division I game as freshmen but could see a lot of playing time this year. Williams (6 of 7 FG, only 3 of 7 FT) is gonna get us a ton of rebounds and blocked shots the next few years and Bilboa is a strong 6’8″ with good rebounding skill, handles the ball well and made some nice passes. The athleticism overall this year is off the charts, and it’s hard to imagine us getting outrebounded most nights. Defensively we were ok but give Howard Payne credit–they made a lot of threes. Some contested, some pretty open. HP reminded me a lot of those pretty good Wesleyan teams that use to play us at Texas Hall–good ball movement and played pretty fearlessly. But if it wasn’t for all the threes, this would be a 70-point win. 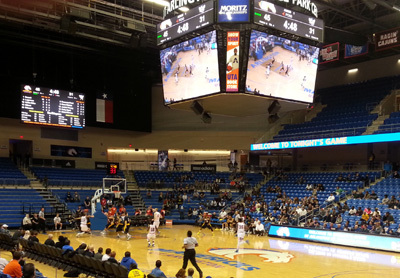 This entry was posted in Dunks, UT Arlington and tagged College Park Center, Howard Payne, mavericks, UTA by rustyhancock. Bookmark the permalink.